Get a rental in Prague 8 fast and simply with Flatio. Whether you’re going for a few weeks or a few months to the capital of the Czech Republic, you will definitely appreciate staying in a home-like environment that you can choose ahead of time. 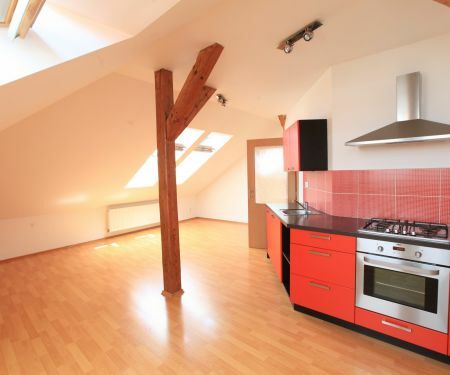 Are you looking for a rental in Prague 8? Make it easier with Flatio’s well-arranged map. After, you just need to choose. 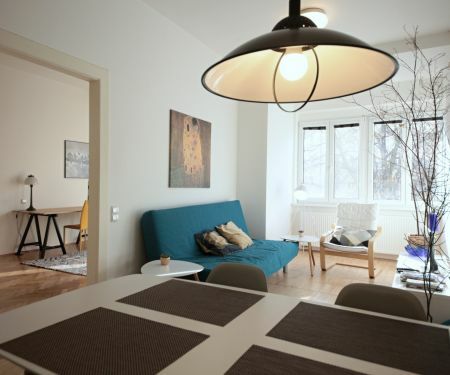 Check out the newest rentals in the capital of the Czech Republic and live, during the entire length of your stay in Prague, in an environment that will meet all your needs. All this will be arranged without a deposit, estate agency fee, or commissions. 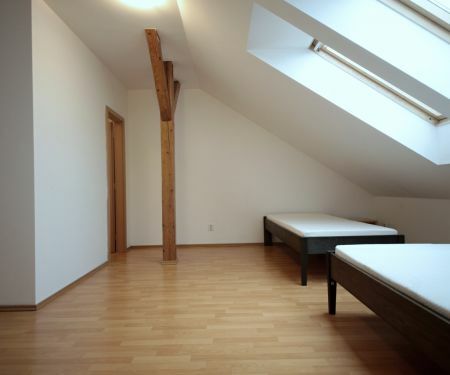 Renting an apartment in Prague 8 can’t get any easier than this – if you’re traveling to the heart of Europe for a month, two months, or half a year, turn to Flatio and choose the ideal rental for you. After 24 hours from reservation, at the latest, you’ll know if you can count on it. In the capital of the Czech Republic, sights or significant buildings can be found on every corner, and Prague 8 is no different. Within the area of 21.82 km², places like the Karlín Synagogue or the Church of Cyril and Metoděj are proudly on display. This region is inhabited, according to data from the end of 2017, by 105 145 people in total. Are you planning to be one of them and rent an apartment in Prague 8? Choose, for your search the Flatio team and our mid-term or short-term rentals for a few weeks or months. All that without paying deposits or steep commissions to estate agencies. With us, you only pay a 19€ reservation fee and a service fee calculated based on the length of your planned stay. What’s the best proof that a description matches the reality? User ratings! Flatio knows that, which is why you can pick the best apartments in Prague 8 thanks to their previous tenants who have rated the chosen home after their stay. You know what you’re getting into and after you arrive, there are no nasty surprises waiting for you. On Flatio, the best apartments are easy to search for so that you can make sure the offer you choose is 100% verified. Then you just need look at the virtual tours and photos to pick the ideal home and request reservation. Why waste money on services from an estate agency, payments of steep deposits, or accommodation in overpriced hotels in the capital of the Czech Republic? Do without all that with Flatio. If you’re planning to go to Prague for a trip, to study, or for a business trip, look for a place to stay with our team. What’s the right way to find a rental on Flatio? Using photos and virtual tours then choose, at your own pace, the ideal apartment for you. Send a request for a reservation to the landlord. And then just wait a maximum of 24 hours for confirmation. All apartments on offer are fully furnished, equipped, and have all necessary appliances so that nothing is missing when you arrive. You don’t want to pay commissions to estate agents and you’d rather put this money into experiencing the capital of the Czech Republic? 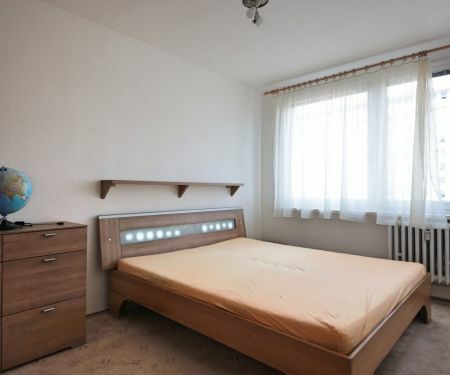 On Flatio, you can get a rental in Prague 8 without an estate agency or steep commission fees. With us you only pay 19€ for reservation and then according to the length of your stay we’ll calculate the service fee. 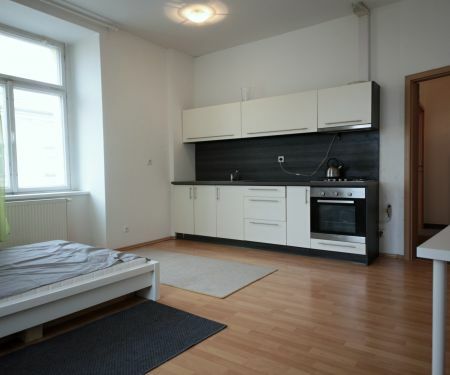 Rent an apartment in Prague 8 without a deposit which can sometimes be worth three-months of rent. Thanks to the Flatio team, you’ll have a nice stay in the capital of the Czech Republic for a few weeks or months. Don’t waste time on expensive hotels or noisy dorms. Spend quality time in the Heart of Europe in a home-like environment.